On Thursday 24th January 2019 I met with Kate Hoey, MP for Vauxhall, and her assistant, at the bottom of the escalator that disgorges from the DLR into London City Airport. Our destination was City Aviation House where we were due to meet with their new CEO, Robert Sinclair. Kate Hoey had arranged this meeting for me, after I took the plight of Plane Hell to her and described how LCY planes are concentrated overhead at 80 decibels when they are approaching the runway on easterly operations. Mr Sinclair was kind to agree and there it was that Kate, Max, myself and, from LCY, Mr Sinclair (CEO), Mr Liam Mackay (Director of Corporate Affairs) and Miss Tessa Simpson (Environment and Technical Operations Manager) were all gathered for a discussion about this new and terrible situation. I took along some of my slides that I use when giving talks about the overflight problem that has developed here in SE London when both LCY implemented their LAMP plan or PBN, and LHR simultaneously narrowed their paths. The 2 airports (LHR and LCY) have had no idea until a few months ago, after residents alerted them via different sources, that their approach paths were overlapping in the worst possible way, bringing double noise to the same residents. Homes are now very difficult for daily activities, and any use of outside amenity nigh impossible. Windows cannot be open since normal sound levels are obliterated by the noise of not 1, but 2 flight paths overhead. These are some notes from the meeting. LCY claims that flight paths have not moved, however when they show the easterly approach pre-2016 and post LAMP that uses PBN navigation, there is a clear narrowing of the approach route over SE London. This narrowing results in the dramatic increase in noise for affected residents. LCY is very happy about the reduction in affected residents. However they do not understand that the infliction of noise, where it occurs in the easterly approach route, is now unbearable in contrast to before the change, where more people were affected by less noise, making the overflight perfectly tolerable. LCY’s only metric to measure peoples’ disturbance is to count noise complaints. LCY do not realise that noise disturbance is made worse by the difference from ambient noise levels. If ambient noise levels are 45 decibels then the jump to 75 decibels for LCY overflights is inhumane. LCY do not even know what noise levels in SE London are, since they do not have any permanent noise monitors in operation under the new PBN concentrated route. It is paramount that monitors are installed in order to collect statistics now, prior to any expansion, to be able to make comparisons for their own sake as well as for residents’ information. LCY are supposed to be liaising with LHR on the double overflight issue, however LCY claim that LHR is holding up the discussion, postponing meetings and not providing noise data. LCY did not want to discuss the fact that residents from SE London should be on the London City Airport Consultative Committee. LCY made a claim that expansion would result in less plane movements, since larger planes would carry more passengers. This claim seems hard to believe. Anyway, larger planes are heavier and make more noise! LCY claimed that planes would become quieter and they are encouraging operators to obtain quieter fleets. This is not good enough for the current issues of noise. LCY like to rely on their new PBN route aligning with the CAP1616 process. It is therefore made ‘OK’ for them to make increased noise over less residents, creating red-zones of unbearable environments in SE London, with planes flying at a height of 2000 feet for 22 km before landing. LCY do not show any sympathy for suffering residents at all. Thank you Ms Hoey for helping me educate London City Airport officials about the distress that people are suffering due to their new PBN easterly operations. This blog entry is a report by Tim Walker, No Respite From Aircraft Noise, a study of double overflight when both London City Airport approaches and London Heathrow approaches overlap with only 1500 feet of vertical airspace to separate them. This open letter was written by a constituent who is distressed at the level of noise created by the concentrated approach to London City Airport in operation since 2016. The letter is addressed to Clive Efford, MP for Eltham and was published in the June issue, page 28, of the SEnine Magazine. There has been no response as yet. We have contacted you on many occasions about the noise and pollution being forced on many of your constituents by the planes from City Airport. When there is an easterly wind or anything deemed to be an easterly wind the planes follow a concentrated flight path which results in the planes flying low over a narrow band of Londoners in New Eltham and Mottingham and other areas of South East London. The flight paths were introduced without any consultation or warning in February 2016. The planes are low at 2000 feet over Mottingham, noisy and polluting. Clive, you say you want to reduce pollution and yet you do nothing to help us with this awful problem. We are very disappointed in your lack of support and you do not even reply to our requests for help. The recent warm weather does not bring much pleasure to us as the planes ruin our hopes of enjoying outdoor relaxation. As I type this email, the planes have been flying overhead every few minutes and it has been non-stop this afternoon. It is unfair that the same group of Londoners are forced to suffer this noise and pollution – as well as Heathrow planes that also circle over this area – there should be a fairer distribution of the impact of these planes. Read this fascinating study of what Heathrow’s most easterly noise monitor tells us about plane noise over the South East of London. Plane Hell Action make these pertinent comments on their Corridors of Concentration Report (3rd April 2018) that has been produced jointly with HACAN. South East London receives no relief from plane noise in the way that West London benefits from the use of runway alternation. Planes cross swathes of South East London in a nose-to-tail frequency from before 4.30am until after 11pm. This is unacceptable. Planes cross and turn in a trombone shape to join the final approach, mostly at around 15 miles east of Heathrow. This blights people’s lives. Over the last 5 years, communities across South East London have been reporting significant increases in the level of noise resulting from observed changes in flight paths to LHR. These changes have been repeatedly denied by HAL (Heathrow Airport Limited) and NATS (National Air Traffic Services). However, the lived experience of residents is clear- flight paths have changed, and we weren’t consulted or told about it. The research presents evidence that an increased concentration of flights paths has indeed taken place. The evidence comprises South East London residents’ empirical observations of counting planes, both from indoors and outdoors, verified by CAA data. The research shows that planes are joining the approach further east and proceeding through concentrated corridors. This blights the health and wellbeing of communities; it disrupts the daily lives of the overflown residents. For example, daily arrivals over Brockley increased by 135 between 2011 and 2017. Greenwich saw an increase of 165 arrivals. Whilst overall numbers of plane movements across London may not have significantly increased in recent years, a stealth exercise has taken place to concentrate arrivals over South East London, creating intolerable noise sewers. Heathrow and NATS have lost the trust of communities across the South-East region due to a lack of transparency and their policy of denying that any changes have taken place. Now Heathrow is consulting on the principles of future flight paths. With the publication of this research it is time for NATS and Heathrow to come clean about what has changed and commit to an equitable distribution of flight paths across London, sharing the noise, as well as the economic and other benefits that the airport creates. Communities cannot wait seven years for new, hopefully fairer, flight paths to be developed as part of the move to Precision Based Navigation (PBN). We need a commitment to undo these damaging changes now before it is too late – in order to restore residents’ wellbeing. In a region where westerly winds prevail for over 70% of the time, Heathrow airport is simply in the wrong place – requiring arrivals to fly over densely populated residential areas across London. This has led to a situation where 28% of people suffering from high levels of aircraft noise in Europe are affected by one airport- Heathrow. Because of this, Heathrow is under a huge moral obligation to push every technical boundary to disperse flights, not concentrate them. Yet, as the research report shows, they have been secretly doing the opposite. Now is the time for Heathrow to set out an immediate plan for how they will undo the damage of concentration and work towards a long term and fair distribution of flight movements across London. Checkout our new Noise Monitor. 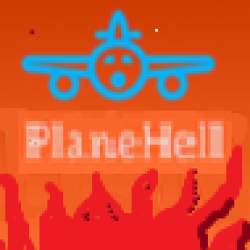 Please consider signing the Plane Hell PETITION. Plane Hell Action have visited the Heathrow Consultation Event and explained their views. As per new planning rules for national policy projects, this is the initial public consultation following the Governments’s decision that aviation expansion should preferably be achieved by building a 3rd runway at Heathrow, LHR. Routes taken by planes are being modified to use the new computerised air traffic control programme known as Performance Based Navigation, PBN. PBN will mean that planes fly in clear and narrow paths across the planet. Aviation superhighways will be created through the concentration of air traffic into densely packed routes, just as has occurred with motorways on terra firma. This will be intolerably noisy for people living below the PBN routes, where air traffic is flying low, as particularly occurs with planes departing from and approaching airports. One part of the government’s Heathrow Consultation will pertain to this use of PBN around airports and how flight path design might mitigate the noise effects of its use. This part of the Heathrow Consultation relates to how the 3rd runway will affect the land and town scapes of the Heathrow area. Fair flight paths, with multiple approach paths ensuring that air traffic can be widely distributed across London, reducing intensity of operations on any one area. Absolutely no concentration of flight paths as PBN is introduced. This applies to all airports, including Heathrow and London City. An end to night flights between 11pm and 6am, regardless of whether a 3rd runway is built. An end to the westerly bias that sees Heathrow and London City operations over London at the same time as LCY do not operate a bias. This would create a fairer distribution of air traffic, which can be unbroken over south east and east London for 17 hours a day. 70% of the time already sees westerly operations overflying London. An increase in altitude to 6,000 feet of planes joining the descent path into Heathrow over London to reduce noise disturbance. Aircraft noise reduction must be a factor for all aircraft flying at under 6,000 feet. A ban on the noisiest aircraft using Heathrow, with strong financial incentives for airlines to invest in newer, quieter aircraft. Absolute transparency and full community consultation in relation to any proposed changes to aircraft movements. Full compliance with rulings from the Independent Noise Authority. End use of the average 57 Leq* noise measurement approach, and use the 55 Lden** approach to better reflect the reality of disturbance by planes across London. *Leq is the preferred method to describe sound levels that vary over time, resulting in a single decibel value which takes into account the total sound energy over the period of time of interest. **Lden is the day-evening-night weighted measurement over the 24 hour period, with a 10 dB penalty added to the levels between 23.00 and 07.00 hours and a 5 dB penalty added to the levels between 19.00 and 23.00 hours to reflect people’s extra sensitivity to noise during the night and the evening. If you are woken by early arrivals to Heathrow, then you could be losing out on sleep that is vital for your health. Read about it in this article from the Guardian here. Thurs 9 November 2017: 18.10 hrs to 19.10 hrs. I counted 50 planes at a frequency of one every 72 seconds. This is typical of westerly landings for most of the day and evening up to about 10pm. Sunday 19 Nov 2017: 4.30 to 5.30 pm. A plane every 75 seconds each one keeping tightly to the same narrow corridor, heading due west a little to the south of my home. This was going on all day from around 10 am, probably earlier: frequency slightly less in the middle of the day. It has been quieter since about 6pm. The narrow landing corridor intersects with a narrow viewing corridor from my front window which faces West South-west. A small area of sky between approx. 30 degrees and 45 degrees is visible from my sofa’s viewing point within the room and the lights of each one of the planes tracked the same path, at 40-45 degrees elevation, within this narrow area. There is now a rebuttable assumption that all westerly landings into at least one of the Heathrow runways are being routed at low altitude along the same long narrow corridor – much longer and narrower than before. Camberwell resident Bridget Bell is the driving force behind a local campaign to reduce air noise and pollution over Camberwell and South London. Bridget, of John Ruskin Street, first had her sleep disturbed by aircraft over her house in July 2016. Since then they have woken her up “nearly every night”. To find out more about the campaign, or if you are affected by similar issues to those faced by Bridget, then please look here or contact us. My approaches to the Heathrow Community Noise Forum and to CAA have returned essentially the same response: nothing has changed in flight heights, numbers, timings, approach i.e. that I, the resident, am mistaken. My MP Harriet Harman has been in touch with the Department for Aviation; Caroline Pidgeon, Lib Dem member on the London Assembly, and John Stewart, Chair of HACAN, have also made approaches to Heathrow. 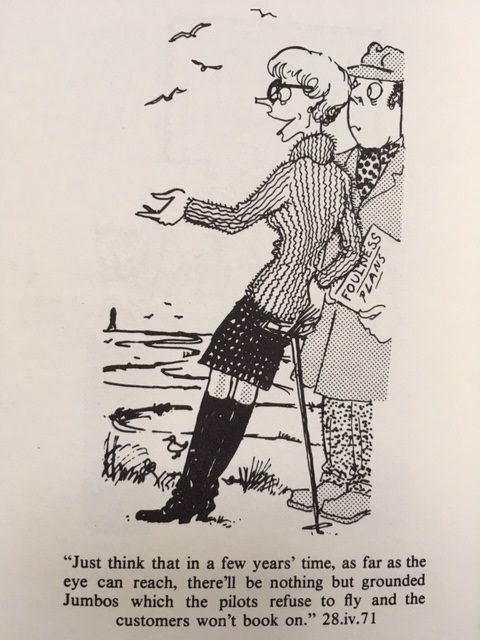 They, too, have been told ‘nothing has changed’. But I, and many others in SE5, know that something has. I also know that none of the Heathrow or Governmental decision makers has been anywhere near SE5 to experience the situation as it is on the ground. There are moments when I almost lose the will to live, stop making plans to see friends or visit museums – all the sorts of things that I have enjoyed as a London resident. It is the support of family, friends and colleagues that keeps me going as well as the quiet outrage I feel at being told that ‘nothing has changed’, that noise is ‘not a problem in SE5’, that because I am outside an arbitrarily-decided ‘noise contour’ I am not eligible for a monitor to measure plane noise and activity, quite apart being treated inhumanely and patronisingly by a small number of people who know the truth but find it inconvenient to acknowledge and do anything about. Five hours’ sleep combined with the endless whine of planes between 4.30am until 11.30pm is sheer hell.